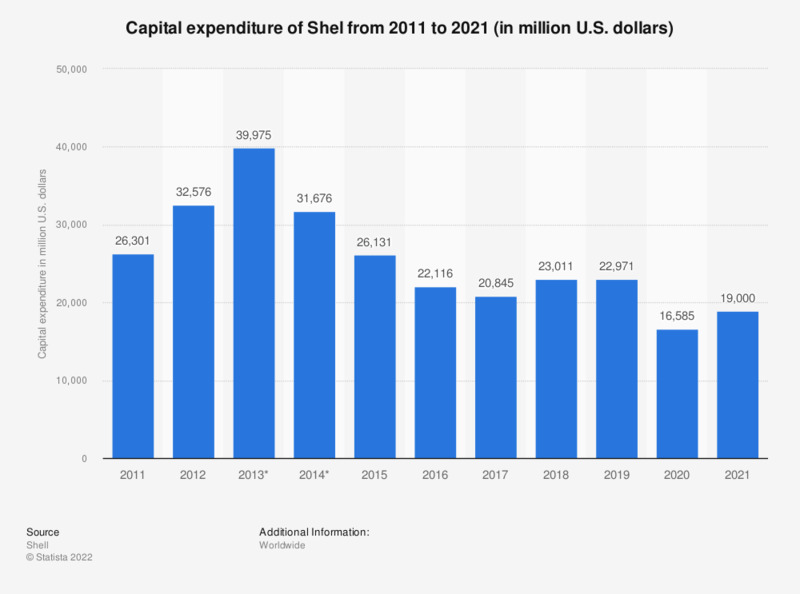 This statistic shows the capital expenditure (CAPEX) of Royal Dutch Shell Plc from 2011 to 2018, in million U.S. dollars. In 2018, Shell's CAPEX amounted to some 23.01 billion U.S. dollars. * The source notes that this includes consideration paid for the acquisition on January 1, 2014, of Repsol liquefied natural gas (LNG) businesses outside North America (2014: $730 million USD; 2013: $3,385 million USD).